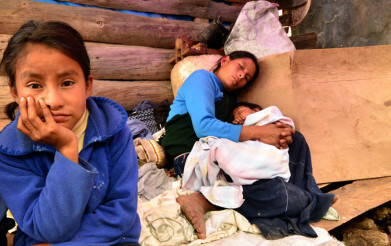 The state government of Chiapas has left the 19 people displaced from Banavil, who have decided to return to their community three years and eight months after they were expelled by shock groups of local caciques, without protection or security. August 4, 2015, – Without protection or security, this is how the state government of Chiapas has left the 19 people displaced from Banavil, who decided to return to their community three years and eight months after they were expelled by shock groups of the local caciques. Accompanied by 100 people, including human rights observers and independent media, the displaced returned to their old homes to clean them and look after the land. At 6 pm, the caravan arrived in Banavil without incident. This is the second time that the displaced have returned. The first was a few months ago when they took Antonia López, 11, who died of cerebral oedema, to be buried there. “Months ago the authorities told us they could return,” explained the Frayba Human Rights Centre. It was not until the last meeting they had with officials, hours before going to Banavil, that they were warned that it was not safe. 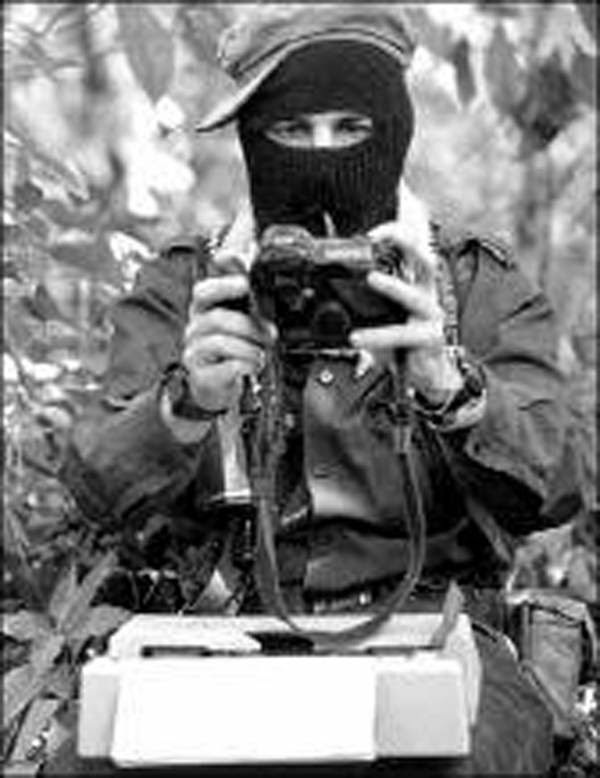 “Those were the exact words of Edgar Alonso, the legal adviser of the Banavil authorities, who were responsible for the attacks. He spoke to the government to say that there is no security,” said Frayba. Manuel Velasco’s government does not recognize the families exiled from Banavil as displaced, nor does it recognise the term itself. This contradicts the guiding principles of internal displacement, recognized by Mexican law. Given this stance, it is the observers and activists are those who look after giving shelter and basic food requirements food to the recent returnees. The displacement of the families took place on 4th December, 2011, when 30 armed people surrounded several houses. The outcome, one dead, one missing and several injured. Those responsible for this attack remain free, with positions in the community, living in Banavil with impunity. Despite adversity, the four displaced families have returned and have not abandoned their demands for the punishment of those responsible and the cancellation of the arrest warrants against two of their compañeros, among other things.